If you want a versatile delay, I'd use a 50k pot for both delay time and feedback, with a 1k resistor in series with the feedback pot to avoid too much oscillation (you can still get it to oscillate, but not so much that it overloads). 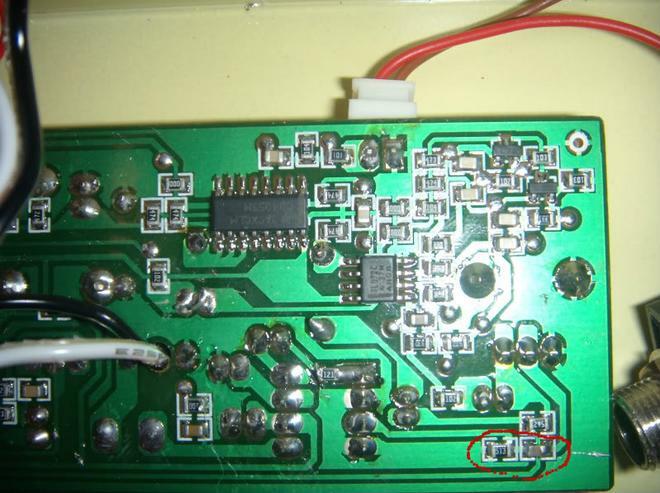 That's an early picture with a jumper rather than a resistor, but you can wire the resistor in that position you circled. Actually, it will work more logically if you put the resistor between the other two lugs, and wire the wires opposite of how it's shown - just do a mirror image of that pic. The reason being, you'll get more feedback as you decrease the resistance, and in that pic, it's getting more resistance going clockwise, so the control would work opposite of how you'd normally expect - clockwise for less echo feedback. Somebody on the Fender forum has suggested my kick pad problem may be related to the inductors or a cracked spring. Could be. Have you tried it with an external tank yet? If you can get the external tank to crash at a good volume, then that's probably the answer. Thanks Uma....no I don't have an external tank to try. It's here ladies and gentlemen... yes, yes, yes. Switches to turn delay on/off, stock/med/hi drip level and external tank switch. This guy provides unbelievable service, he's a sound bloke that knows his electronics and is happy to talk all day long to whatever weird requests you might have. If anyone wants these mods doing in Europe, this is your guy. Now: verdict is that the external tank provides much clearer and brighter sound than the internal springs, as well as more drip. This is where I disagree with Uma who has said the external tank needs a drip mod to have the same drip sound of the internal tank. In fact, the external tank adds more drip on its own. This could well be down to the fact that I happen to have a decent 4AB3C1B tank, as they are apparently touch and go (they differ). The external tank on stock drip setting feeds back and has way less residual noise than the internal tank. It's much calmer. The delay mod provides an inaudible difference to me. The actual stock delay is a small and tight 'slapback' - and you can hardly hear the difference when its off. However, I haven't tried the pedal at studio volumes yet (only room). The drip mods, sadly, are a bit of a red herring. Martin tried his best, but the Spring King feeds back too easily when you add different capacitors as UmaFloresta did (see previous posts). You have to roll of the volume (drive on the springs) on the higher drip settings, which in effect gives the same setting as the stock drip on full volume. So its 'six of one and half a dozen of the other' as we say in England. Finally, the cable to the external tank is a single quarter jack to the RCA heads. Martin did this to reduce feedback on interference on the lead. He also re-wired the lead somehow and insulated it to make it more quiet - you'll have to email him to know exactly what he did and why. I use the delay off, the stock drip setting, and the external tank - that is pure surf for me, and it sure as hell beats my Holy Grail into the ground. Deep into the ground. 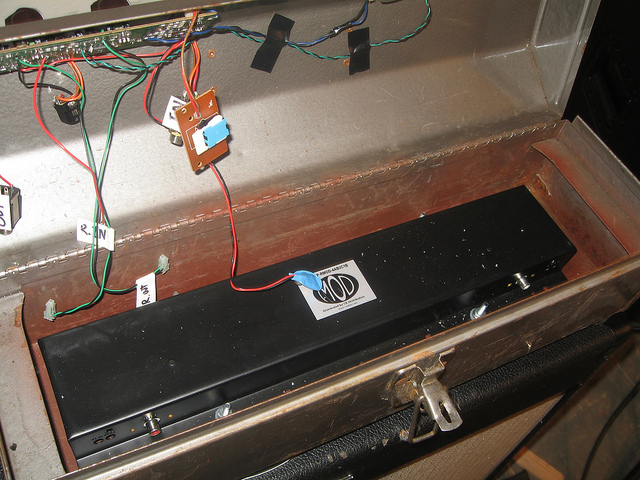 This is the controversial bit - it's as good, or very close, to my bandmates '63 Fender re-issue tank - SCANDAL! Get yourself an (good) external tank and you're home free, kids. the first 10 seconds are stock drip with internal tank and delay ON, the next 10 is external tank with delay ON, the next 10 is external tank with delay OFF. The clips don't quite do it justice (compressed into bad quality MP3), but you can certainly hear the difference between the internal and external tank. BTW, my 'Ghost Surfer' track is NOT done with the danelectro, but line 6 modelling. What do I do if I want to eliminate the delay and feedback all together? 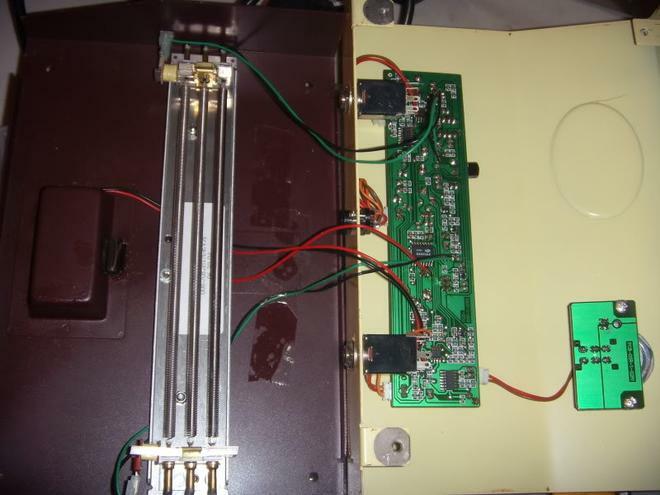 Could I take out those two tiny resistors shown on the first page and just stick a wire in their place? I'd rather not mess about with all sorts of pots. 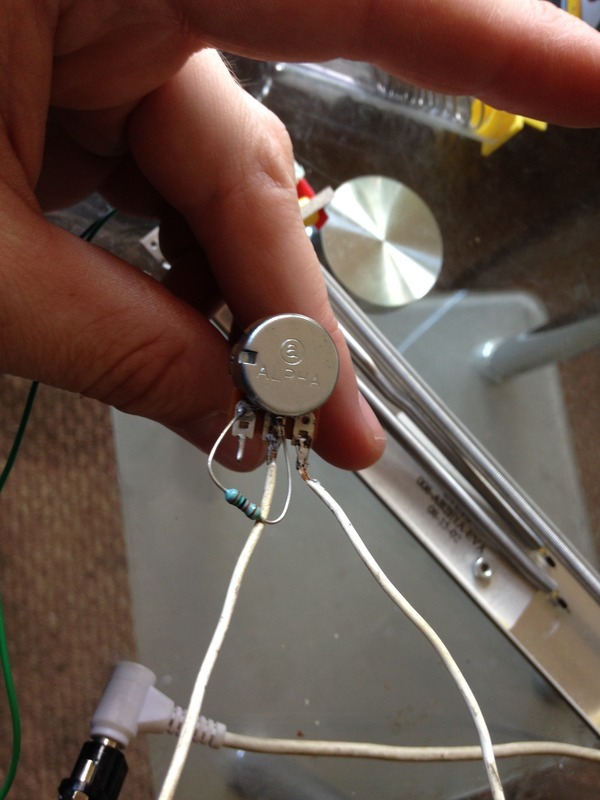 Just wire a 100k resistor where the feedback pot would go. That will do it. Sure - it's never going to be a Fender tank, but it's got some potential. I used it in a show recently and it seemed to work out well, although for recording I use the reverb from Amplitube Fender, which sounds very realistic. Reresurrecting this thread to say thanks for the instructions and post a couple pictures of my new tank! Hey, I noticed the original pics I posted for mods are gone - I deleted them on accident. Will post again soon! Disclaimer: try at your own risk! This is tricky due to very small components, and you run the risk of ruining your pedal if you're not careful! The Danelectro Spring King is a hybrid delay and spring reverb. signal through the springs and then out to a gain recovery stage. a more obvious setting via the mod. springs still sound good, and give off that dripping faucet sound. turn it up it will start to self-oscillate. so they don’t droop down and mute the springs. points to insulate it from external vibrations. to the jacks. The green end is the signal, the black end is ground. down over the springs and muting them. Then plug in and enjoy your new improved Spring King! Increasing the low end going to the springs will result in a more prominent drip. 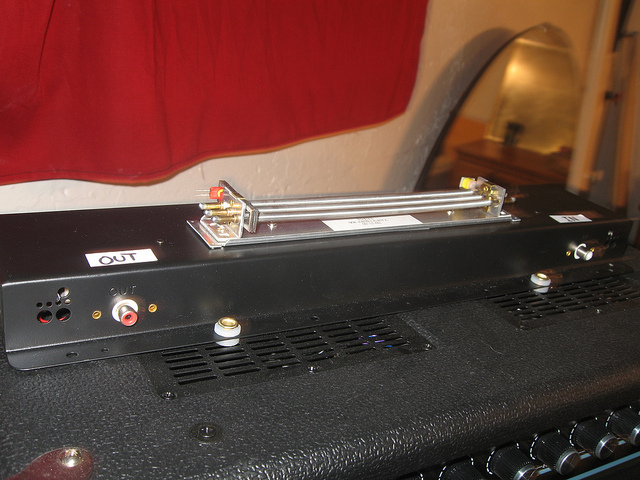 A cap and a resistor set the lower end of the filter - larger values = more bass. Be careful though, as too much bass may cause your spring to feed back. Stock is a 51k resistor with an unmarked capacitor. Here are some notes I made of different combinations I tried. 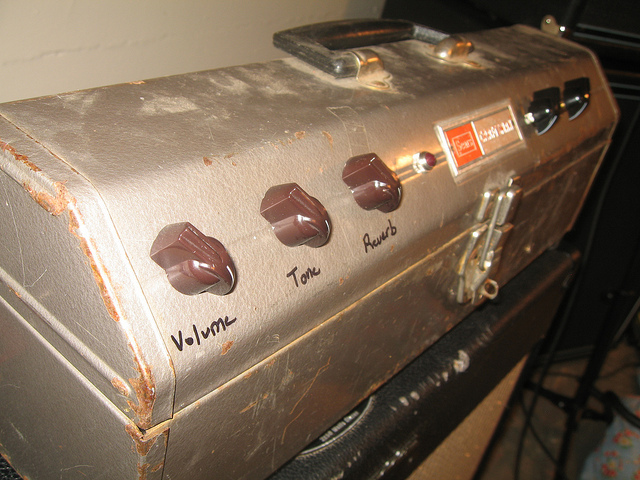 Some of the heavy drip combos will force you to back off the volume control to avoid feedback. You still can't get as wet as a tank here (I think due to weaker recovery circuit, not 100% mix option, and not enough treble response in tone control), but you can get quite a respectable drip. Thanks a lot for the updated instructions. They are going to be very useful. Old punks never die... They just become surf rockers. Now, I wouldn't necessarily try the drip mod unless you're really unsatisfied with the drip. It may be more trouble than it's worth. I opened my SK and the wiring is slightly different, instead two green/black cables, there is a red/black going to the right side to the springs, and a green/black going to the left side. Plus a white one "lost" behind the springs, I can guess in your pics that the white one I have, is red in your case. 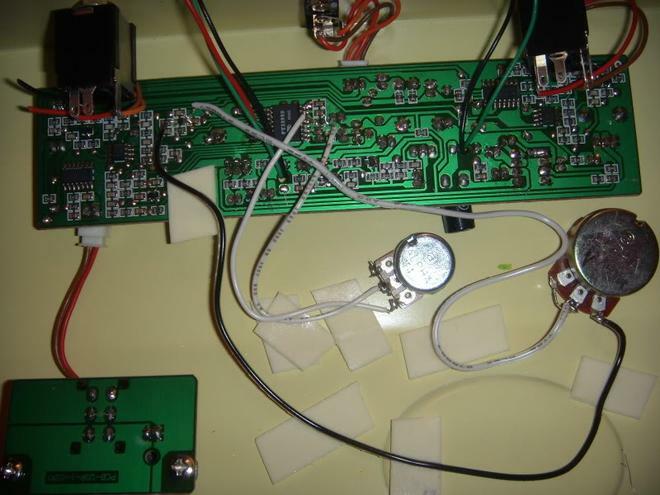 Anyway, my question is, 6 years after you started this thread, how to wire into a 4PDT switcher. First of all, I pretend to have an external tank within the internal springs; so if I would like to wire to the switcher, I just have 4 cables coming from the pedal (one green, one red, two black), but the switcher has at least 8 positions (ignoring 4 connectors for the external tank, as the switcher has 12 in total) where I could connect them. Adding, of course, the problem with the wires going to the external tank. I also have that white cable behind the internal springs that I fear has something to say too. 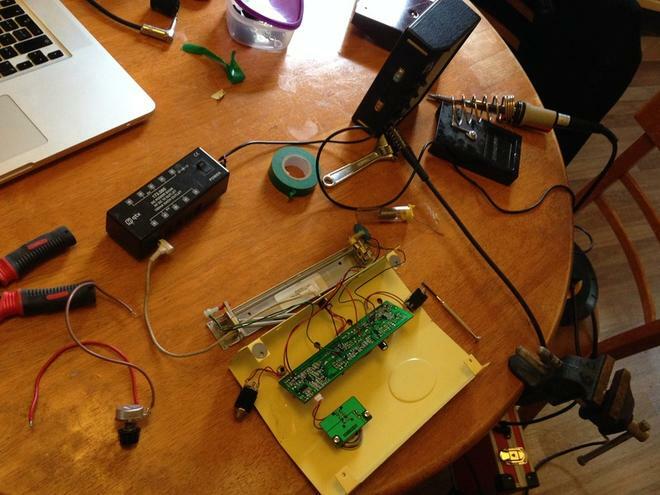 I am newbie with electronics although I have small experience wiring stuff (like my P-Rails pickups with triple shots and pararel/serie & phase switches). So I do not mind to open things, burn them, break them, then fix them. The point is that I have no idea where to wire the green/red cables from the pedal (positive, negative input? ), neither the black one (positive, negative board send or return?). Not even know if the white cable behind the springs is important for this mod. So, if you would like to help, I would be so thankful if you could explain better this point, not necessary for dummies but yes, for fearless ignorants like me. another one to try this mod with his dano spring king! Hi There first of all thank you very much for the detailed instructions @DeadRanchHands this is by far the most detailed instruction I could find in the internet. To be honest I'm not so much into surf rock but I love that vintage spring reverb sound, so this is why I write here. 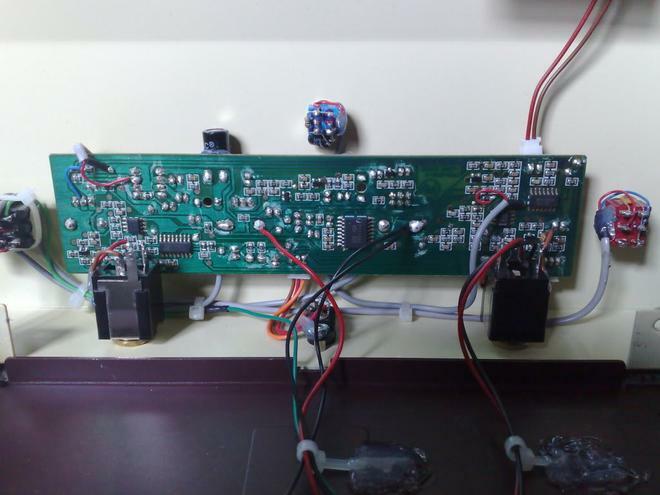 I succesfully implemented the mod and also split Delay and Reverb Dry/Wet to two potentiometers, so I have more controll on the levels which is pretty great. I love the natural sound of the spring with just a tiny bit of delay dialed in. 1. Doing the mod I screwed up resistor 103, the one under the feedback resistor. Does anybody know what value it has so that I can replace it? Any Ideas where I could tap the dry signal? Does anybody have the schematics of the spring king? Thanks anyway and best regards from Germany. I've just started this mod and I can see there is some great info here! I'm going to go out and buy the same pots as mentioned above but i thought i'd try putting a 500k (all i have) pot on the Delay resistor for now. 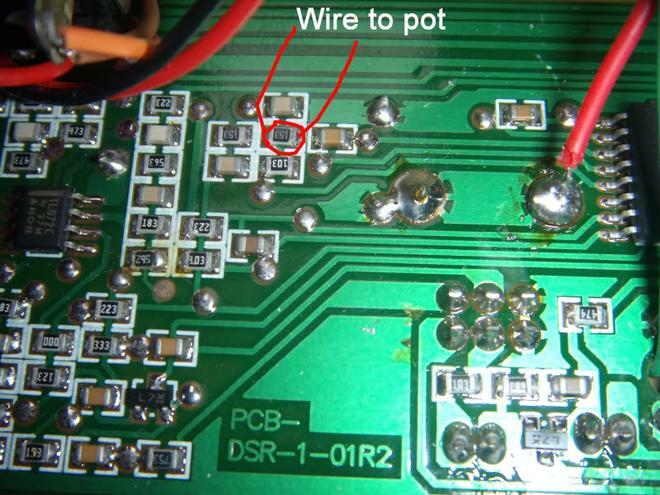 I have un-soldered the 362 resistor and soldered the pot in its place... no joy. 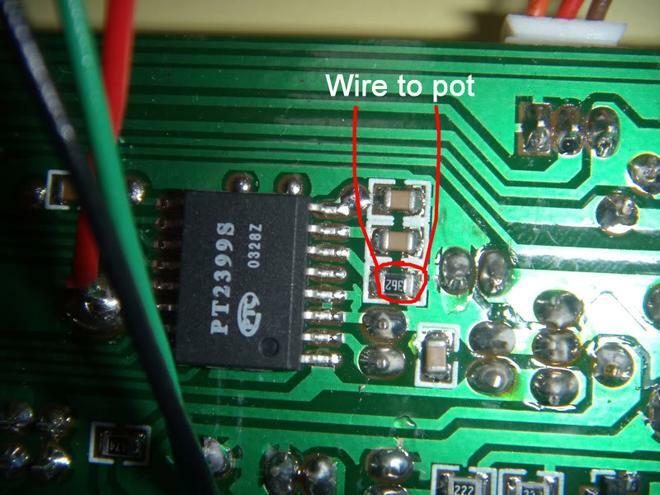 I un-soldered the pot and touching the wires together or just not having a resistor in there seems to have made no change!?! I'm guessing something is wrong as its probably not going to make any difference with the right pots? Also, what would i gain from having different value pots in the Delay and feedback? Sorry i'm a proper novice! O yeah, turns out i'm only on 1 spring too!!! Heres where i'm at. 10k pot with a 15k resistor. 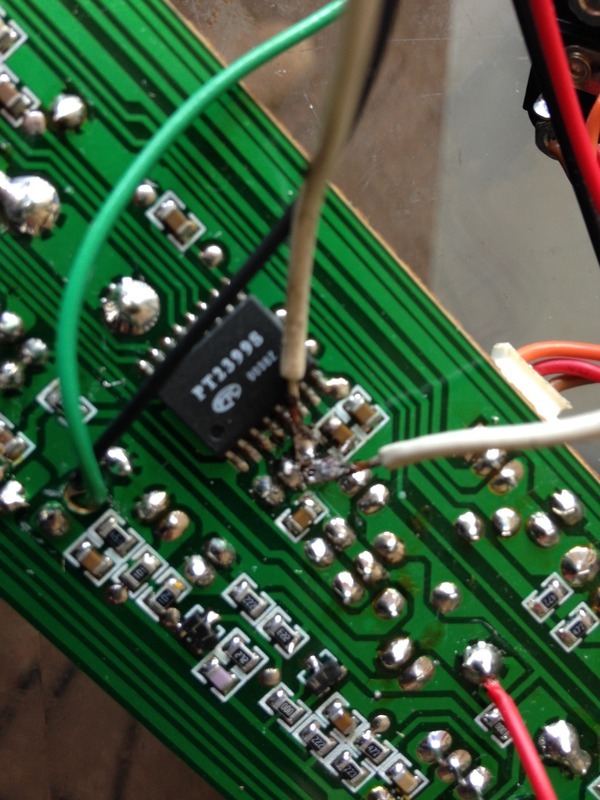 My soldering is pretty bad and it keeps breaking away... probably the 15th time i've soldered it to the board now. Still nothing. Am i just doing it wrong? Havn't had time to go over to the feedback resistor yet.